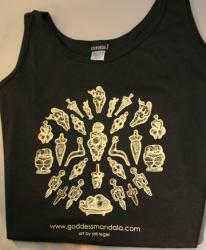 Mandala of prehistoric goddess figures from the Ice Age to Neolithic Malta. Original design ©Sid Reger. Cotton tank top, S-3X.